Mod Party in Northern Illinois! Its that time again. 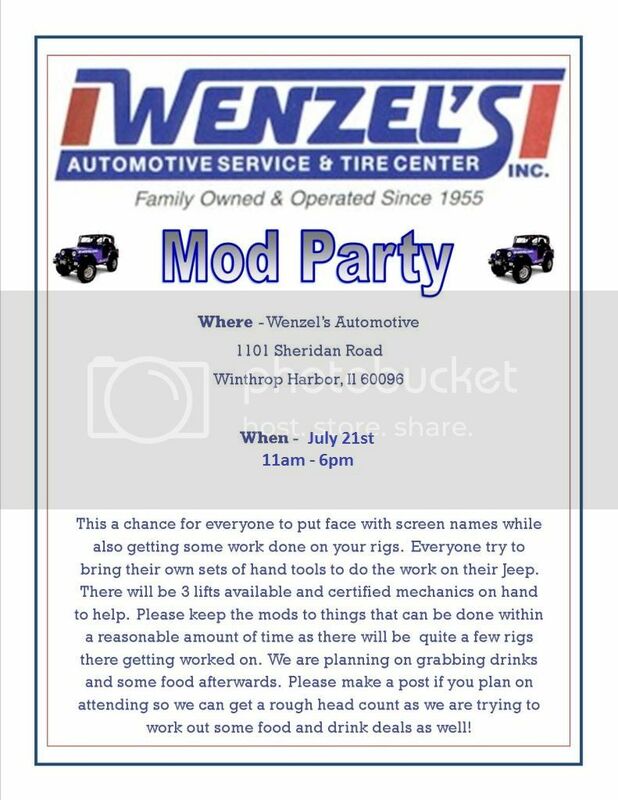 The next mod party at Wenzel's Automotive will be held on July 21st. Start getting your parts ordered! If anyone has any questions feel free to as me or Kyle Wenzel. This is an open invite to feel free to add your friends to the event! I am sarcastic. Deal with it.